For a modest extra charge, why not treat yourself to one of our modern junior suites with separate lounge area? Each of these hotel rooms has been individually decorated with your comfort and convenience in mind, with features to keep even the fussiest guest happy with their accommodation. Available for an additional £15 per person per night above standard room rate. 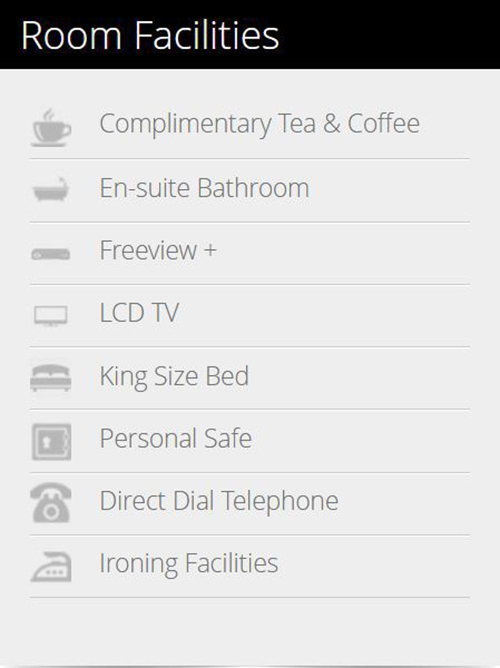 You can also add even more pleasure to your stay with breakfast in bed, lunch in your room, late checkout and other tempting options (charges apply). We can also give you a wakeup call to get you up and running, and a morning newspaper on request.